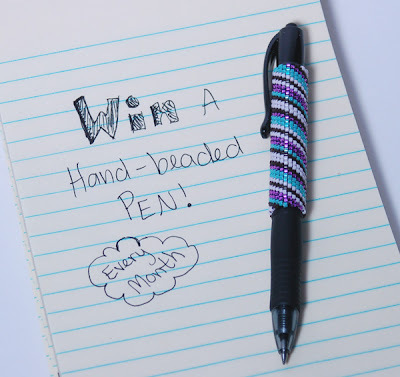 Mandibeads: October Giveaway: Win A Pen! leave a comment under this post and tell me about your favorite pen in my shop, or suggest a new design! my favorite is the Aqua Swirl pen and my daughter loves the Girly Butterfly one! 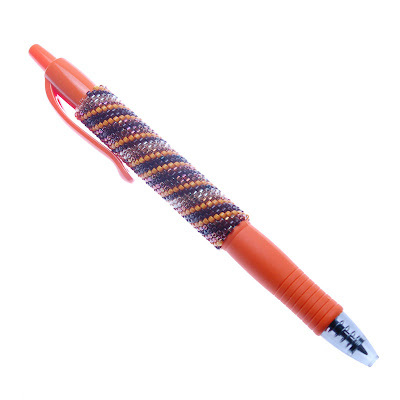 I love the Purple Haze pen, along with everything else! Especially the cupcake pens. Thanks for the giveaway! The Vertigo 5 pen is my favorite. I like the Mocha Swirl Pen the best, though "Vertigo 6" sounds like a good band name.